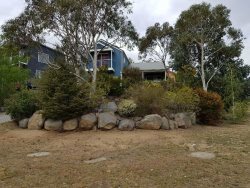 Located in" the "premier position in Thredbo", Thredbo Alpine Apartments boast superb mountain views and is a opposite the Kosciuszko Chairlift, bobsled and tennis courts. The golf course is a stroll away (summer only) as well as the Aquatic center with waterslide, squash courts, gym and climbing wall which operate all year. Thredbo's famous mountain biking is also located within 50 meters of your apartment. Your apartment is located close to all the Thredbo restaurants and bars and some great shopping. All Thredbo Alpine Apartments are fully self-contained with fully equipped kitchen, TV with Foxtel, telephones and linen. Most apartments have balconies and all have parking (most undercover). There is also a communal guest laundry and each apartment has a ski and boot locker and drying cupboard. Thredbo Alpine Apartments guests have use of the Thredbo Alpine Hotel pool and facilities. Please note images shown may not be the exact apartment reserved. Please check in at Thredbo Information Centre located on Friday Drive to collect your keys. Phone: (02) 6459 4194 (02) 6459 4194. -Rollaway beds cannot be provided for any apartments. -There is only one person (adult or child) permitted to sleep on a sofa bed. -An infant or child is considered to be one person in an apartment. -Cot hire is $25 per night and includes linen. Must be pre-booked and guests pay direct on arrival for cot hire. -All Thredbo Apartments are provided with a starting supply of amenities that are restocked daily, if required. -Apartment layout is on one or two levels. Some apartments have a balcony. All requests for specific apartment facilities must be given at time of booking. Our office will do our best to fulfill all requests but no guarantees can be made. -Apartments receive a daily service and 7 night stays receive a linen change on the 4th day.